Encircl is a technology-driven marketing service provider for business and enterprises. Innovative and Data-driven approach form the foundation of these services. Dedicated Account Management strategy enables Encircl’s business delivery process. Encircl’s core team consists of experts from diverse interests and background with an accumulated professional experience of 300+ years. The leadership team collaboratively manages its projects from its offices in San Francisco, New York, Toronto, Singapore, Bangalore, Mumbai and Gurgaon. Encircl imbibes ‘technology innovation for marketers’ as a key value proposition for all its clients. A suite of innovative solutions developed by Encircl imparts data-driven insights to marketing strategies. One-to-one communication and Big Data are at the core of these solutions. With exposure to various industries including ecommerce, bfsi, information technology, manufacturing and consulting & strategy. He brings together entrepreneurial drive and vision with exceptional technology know-how to launch new products, build new competencies and penetrate lucrative market niches. Equipped with his vast experience of serving various industries with superior Digital Marketing technology development, he founded Kenscio in 2010. 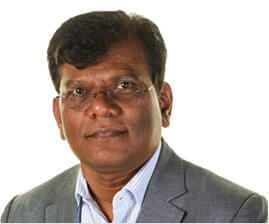 Under his leadership, Kenscio has built several innovative products and services which have won multiple marketing awards (including two consecutive awards for Best Innovation by Direct Marketing Association of India-DMAi, and Best Email Marketing Campaign award at 9th India Digital Summit, 2015 conferred by Internet & Mobile Association of India, IAMAI). A rank holder in BE Electronics from Bangalore University, Manjunatha has done his M.Tech in Computer Science and Engineering from IIT Madras and a one year senior management program from IIM Kolkata. Amit started his career 20 years ago. Over the years he has held various roles for Mahindra Group, SIFY B2B Portals and SIFY e-Business before venturing out on his own. His strong management and customer facing background provided scope for developing his skills in areas of offline and digital marketing solutions. At Encircl, Amit heads the Client Success deliverable and leads the teams towards achieving it. With a role that encompasses Partnerships, Outsourced Services, Account Management and Project Management, he is a team player who's not afraid to roll up his sleeves and do the job - because it needs to be done! Dan brings 35+ years of service in global operations and senior IT leadership for MNC's and start-ups across 4 continents. He has served in Senior Management roles in global operations and technology over 35 years across 4 continents. In addition to corporate management in MNC's, Dan has experienced the hardships, successes and joys of entrepreneurship, plus the responsibility of serving on a variety of Boards. 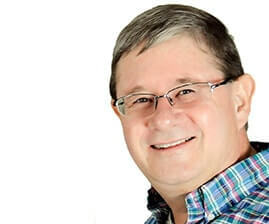 His involvement in all aspects of business saw Dan design complex software solutions; drive ERP implementations; and lead large, distributed teams (call centers and IT personnel, onshore and offshore). His years of detailed operational experience amplify the value of the strategic guidance he exudes today. For him, “Excellence delivered” is the key. Dan is currently based in Toronto, Canada. 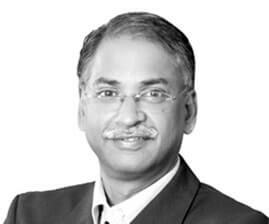 K Vaitheeswaran, also known as the “father of e-commerce in India” is a serial retail entrepreneur and an internet industry veteran who pioneered the e-commerce industry in India when he co-founded Indiaâ€™s first internet retail company Fabmart.com (later rebranded Indiaplaza.com) in 1999. In 2001 he co-founded Fabmall - India's first integrated offline and online retail company. While Fabmall.com was the leading Indian internet retailer, the Fabmall chain of grocery stores went on to become a leading brand in the Indian organized retail industry and was subsequently acquired by the Aditya Birla Group and later re-branded as the More chain of stores. K Vaitheeswaran has advised global brands like Deloitte, Diageo and the Tata group in their digital, retail and e-commerce initiatives. He is well known in the Indian startup scene and invests into, mentors and advises several technology and consumer start-ups. 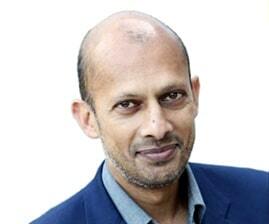 Sunil Maulik is an investor and advisor and has over twenty years of experience in Silicon Valley. He has co-founded three companies (PeoplePower, an energy analytics company, 500Friends, a social e-commerce analytics company, and GeneEd, a provider of healthcare e-learning). In addition, he has held senior sales and management positions at Pangea Systems, Tripos, Hoffmann-La Roche, Oxford Molecular and IntelliGenetics. 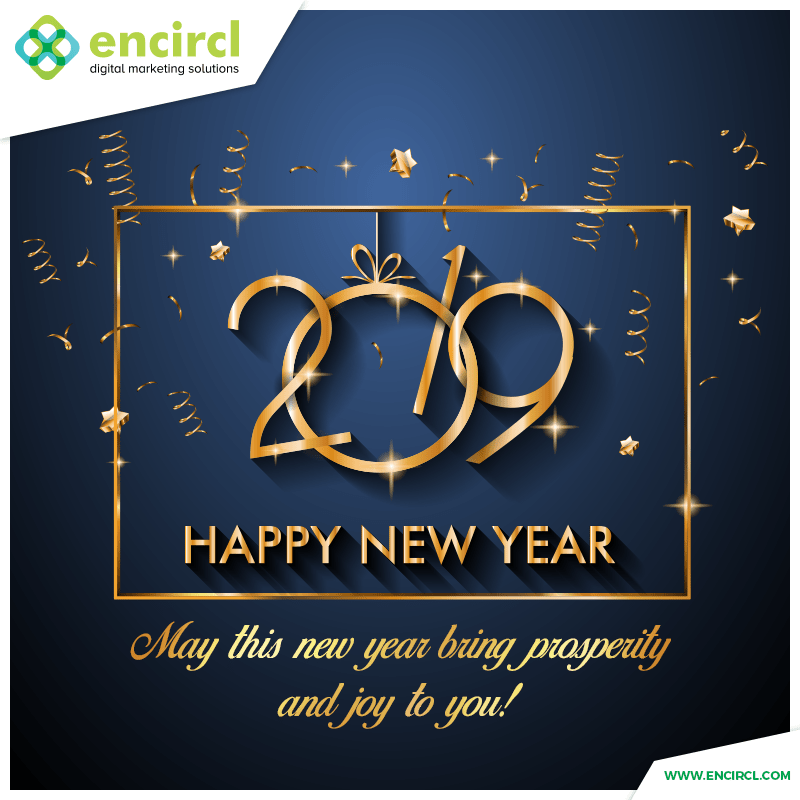 At Encircl, he leads operations, offshoring, organizational development, client success and Marketing campaign management teams. 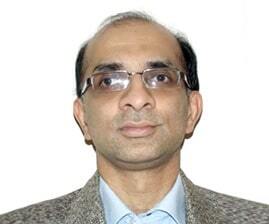 Vasu heads the New York office as the Director - Business Development. He brings over 25 Years of experience in Investment, Trading, portfolio Management and Administrative Skills from many sectors of the financial industry. Over the years Vasu has held various roles for Baker Lloyd, LP., Athos Group, LLC. and American Heritage Management Group, Inc. He has taught Undergraduate Courses at Pace University in New York. He has also worked for the City of New York and State of New York. 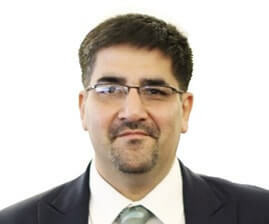 His strong academic and management acumen is the driving force that helps the team at Encircl to attain its vision through technology innovation and marketing success. At Encircl, Vasu enables clients to make the most out of their Digital Direct Marketing efforts.